Marilyn Monroe said (Quotes 33) - Motto Cosmos - Wonderful people said! Marilyn Monroe said (Quotes 33) No ratings yet. Sometimes I’ve been to a party where no one spoke to me for a whole evening. The men, frightened by ther wives or sweeties, would give me a wide berth. 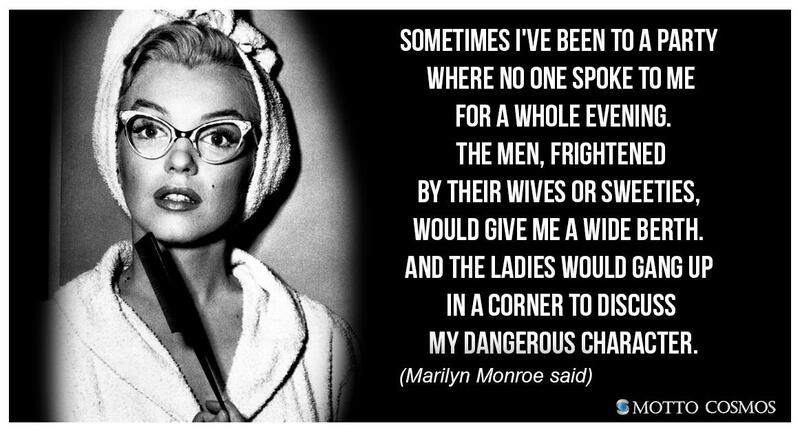 And the ladies would gang up in a corner to discuss my dangerous character.